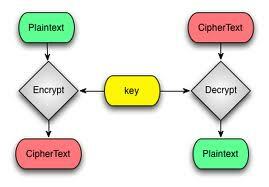 Cryptography is a system that is used to protect software, hardware, and electromagnetic frequencies by converting an input message into an equivalent output message with the use of a cipher and a secret key. Although all cryptographic systems are based on the simple process of associating a character with another character, modern cryptographic techniques use highly complicated algorithms in order to produce ciphers that are almost impossible to decrypt without the use of the secret key. Because of this, however, the use of cryptography has created several significant legal issues around the world, especially concerning the use of cryptographic ciphers by criminals. The biggest challenge of cryptography, from the perspective of law enforcement, is balancing the privacy of those who use it with the well-being of everyone else. While cryptographic software is currently legal in the United States for both personal and commercial use, many law enforcement agencies must combat criminals who protect themselves by encrypting messages and servers while also respecting the privacy and freedom of speech of those same individuals. Because of this, there is still much debate between law enforcement agencies and civil rights organizations concerning the proper approach to these situations. In addition to domestic privacy issues, there are also international aspects to the legal issues concerning cryptography. For example, cryptography is still illegal in many countries around the world and many more countries require users to obtain a license before using cryptography software. Because of this, users must check the legal requirements of the receiving country before using cryptography software on servers in those countries or shipping cryptography hardware to those countries. There is also much debate concerning the use of cryptography software over the Internet, but it is still dependent on the individual country to restrict the use of such software by its citizens. Despite the freedom of individuals in developed countries to use cryptography software for personal use, the NSA, or National Security Agency, must often use anti-cryptography techniques to decrypt a hard drive or server that has been confiscated from a known criminal for use as evidence in a criminal investigation. While the NSA takes part in the development of most standard cryptography algorithms, there are many algorithms in existence that it is not aware of and may even be unable to decrypt without the secret key. Despite this, the NSA is constantly creating new anti-cryptography techniques and software in order to increase its effectiveness at decrypting advanced ciphers.